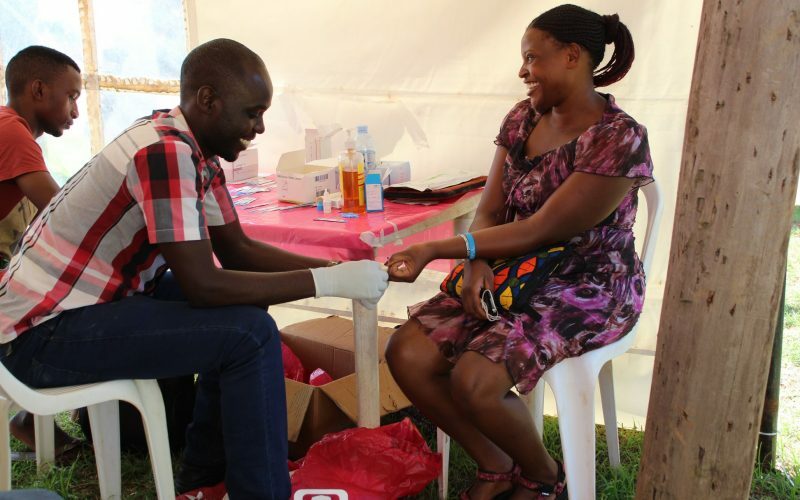 During a health camp carried out on the International Women's Day (8th March), we offered an integrated package of health services to the Kamwoka Community. Our key innovation is creation of spaces for the adolescent mothers to access & utilize antenatal and safe delivery services; access & use family planning services; then recruitment into an accelerated formal education program, practical skilling, mentorship and business/entrepreneurship development. That, with the involvement of the male counterparts through the MAN UP campaign to prevent, protect and defend the sexual reproductive rights of adolescent girls is critical to reducing HIV infections and adolescent births within the said cohort.